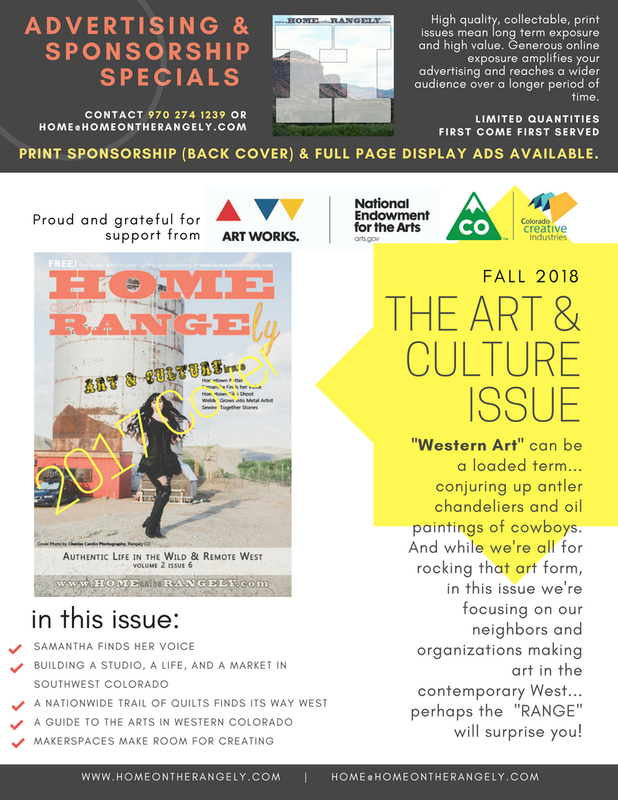 We are Honored to share that we received a Career Expansion Grant from Colorado Creative Industries, at its highest funding level, to promote and expand our print publication and web project! Here are Upcoming issues nearing publication! Please contact us if you're interested in becoming an advertiser, sponsor, or contributor. The stories of the #wildandremotewest are the stories of us Its people, its businesses, and its visitors, past and present! And again, let us remind you we are new at this, doing the best we can with a shoestring budget and a lot of community support. HOME on the RANGE(ly) magazine / website is an ongoing work in progress, as are most good things in life. Please let us know your thoughts and ideas. Stay tuned for the next issue! From the Farmstead: Heirloom or Hybrid? History Mystery: Who are these Sheriffs?